If you have short wavy hair then you probably don’t need to do much styling because you already have a hot hairstyle, but if you’ve been wearing your short wavy locks the same way for quite sometime then it could be time to freshen things up with a fun or flirty new hairstyle. Perhaps the best way to change up your short wavy hair is to simply change the waves. The finger wave hairstyle is super chic right now and although it takes practice to perfect, once you have it down you can have this hairstyle in easily. Try this modern finger wave hairstyle. If you have shorter wavy tresses then try this look that Evan Rachel Wood wore to an event. It’s the perfect combination of timeless waves and soft romantic modern curls. This hairstyle is easy to achieve and looks great through day and night. This is a great formal hairstyle for women with short wavy hair. A great way to spice up your waves is simply changing up the part. A deep dramatic side part that shows off your waves from top to bottom is simple but glamorous. This look can be both formal and casual which makes it perfect for the office or a ladies night. A beautiful deep side-swept wavy hairstyle. Glam rock isn’t just for rock stars with a feminine taste in clothing and hair. 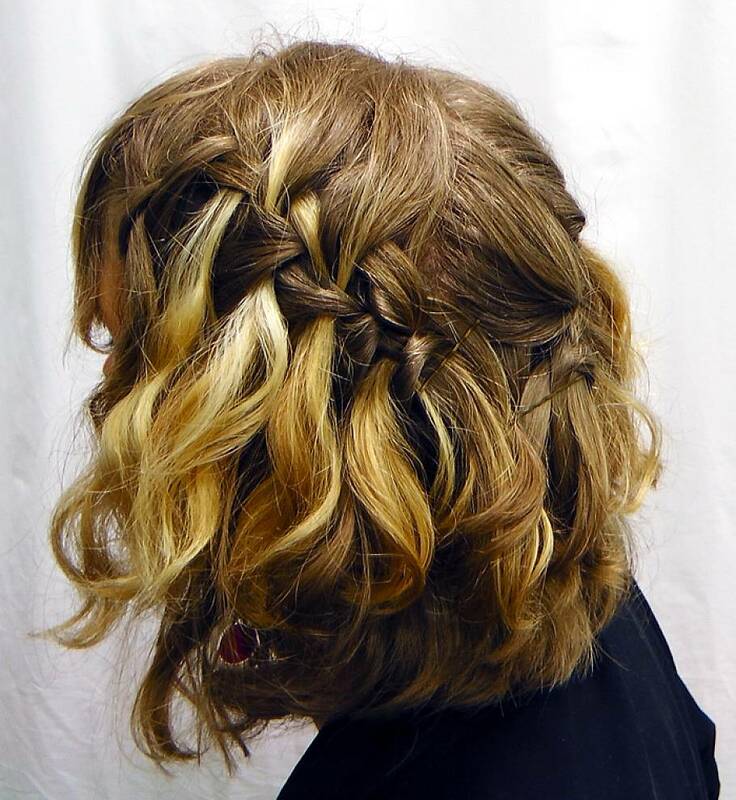 It’s an edgy and fun look that’s perfect for women with short wavy hair. If you have a longer pixie than a rocker Mohawk with lots of texture is a head turning hairstyle. Glam Rock is a great option for short wavy. The messy look isn’t just for women with long straight hair who can effortlessly make the messy topknot. A slightly unpolished wavy hairstyle is super charming and flirty. Jessica Alba looks amazing with her messy wavy hairstyle. You might be surprised to learn that you don’t need long flowing hair to achieve the trendy waterfall braid. This look is amazing with wavy locks and it’s super easy. Try this cute waterfall braid.